Do you ever walk into one room of your home and wonder why it’s so much cooler or warmer than the other? If the temperature in your home is inconsistent from room to room, it could be because you have a temperature imbalance. More often than not, an imbalance of temperature is a result of a problem with your HVAC system or ductwork, and if that’s the case, then our experts are here to help. We are proud to provide residents of New Jersey with HVAC services that they can trust. In addition to HVAC repair, installation, and maintenance, we also offer various generator services. To learn more about our HVAC company and the services that we offer, browse our website or give us a call today to schedule an appointment. If you’re experiencing a temperature problem in your home, your first instinct may be to call a professional. While a professional will be able to help you solve the problem, the first thing you will want to do is try to determine the cause of the temperature imbalance to better understand how to diagnose or prevent the problem in the future. In today’s post, we will give you a brief overview of some of the main causes of temperature imbalance in your home. If you are experiencing any of these problems, be sure to call the professionals today! What is a Temperature Imbalance? In some cases, a temperature imbalance has nothing to do with your heating system. In fact, you may be experiencing different temperatures due to the layout of your home. If you have a multi-level house but only one thermostat, it may be causing temperature problems. 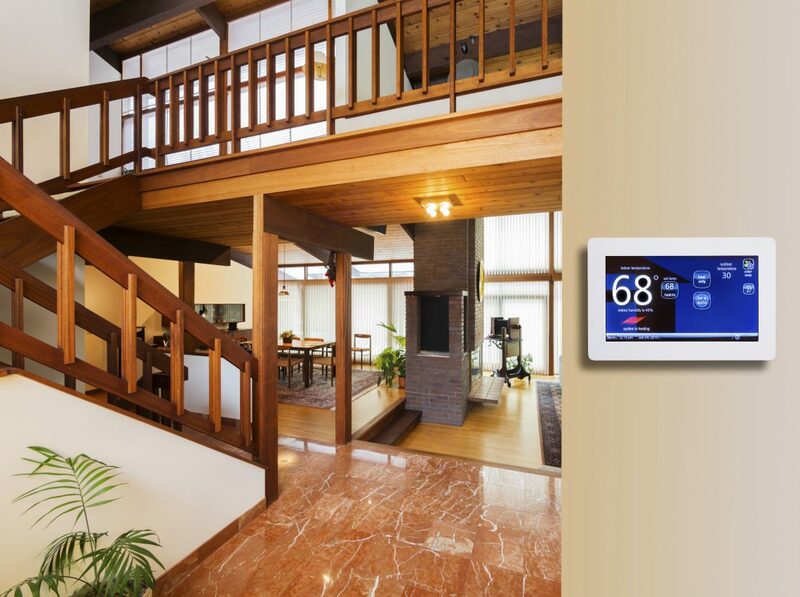 Depending on the placement of your thermostat, one level of your home may be warmer or cooler than the other. For example, if you have your thermostat on the middle or lower level of your home, your upstairs may feel slightly warmer. Heat rises, and while your first floor may be at the perfect temperature for your level of comfort, you may walk upstairs and start wondering why it’s so warm. Another reason why you may be experiencing a temperature imbalance is because of the placement of the rooms in your home. If you have a room that is directly above the garage, or a room that faces east, you will have different temperatures throughout the day. Because you most likely don’t heat your garage during the winter, the cold air will affect the temperature of the room directly above it. Additionally, the room facing east will receive a lot more sun during the day, most likely making it feel warmer. There are many problems that can occur if your heating system is not the proper size. In previous blogs, we’ve talked about the impact that your HVAC system can make on your energy bill if it is not the right size, but it can also make an impact on the overall temperature of your home. You may be thinking that when it comes to your heating system that bigger is better, but that’s not necessarily the case. A heating system that is too big or too small will have a hard time functioning efficiently, distributing airflow, and regulating the temperature. In either scenario, you could find yourself replacing your heating system after only a few years, due to the fact that it wasn’t sized correctly. These are just a couple of reasons why you may be experiencing a temperature imbalance in your home. If you are unsure if the problem is related to the layout of your home or the size of your heating system, then it may be a good idea to call the professionals. At our HVAC company, we proudly provide a variety of heating and cooling services to the residents of New Jersey. If you’re looking for an HVAC company that you can trust, give us a call today to schedule an appointment.